We’re incredibly sorry to announce the sad loss of our treasured retired Adoption Star Dylan. He had lived at our Oxhill Visitor Centre, near Banbury in Warwickshire, since 2004. Dylan was rescued from the Welsh commons in February 2003, when he was just two years old. He was suffering from a condition called "locking stifles", which made it very difficult for him to move about to find food and he was incredibly underweight as a result. 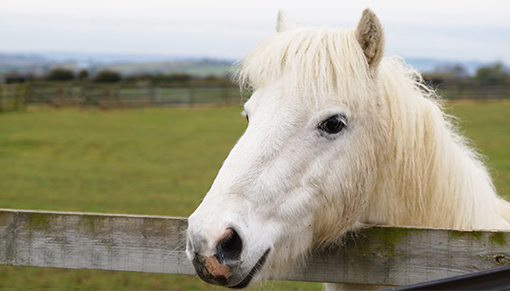 But with veterinary care and plenty of TLC, Dylan flourished into a friendly pony, who was loved by his carers and supporters alike. 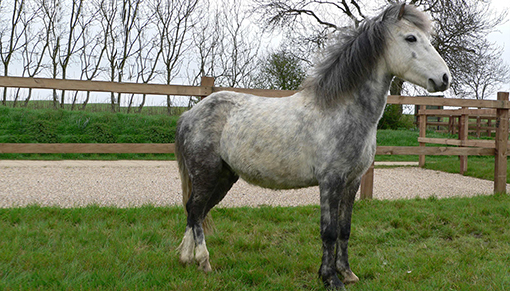 After spending 13 years on the Adoption Scheme, Dylan retired in 2018 after he began to suffer from more persistent and worsening hind limb lameness. While his condition was able to be managed over the last year, sadly his condition took a downturn, and our vets had to make the heart-breaking decision to put him to sleep to ensure he did not suffer. He passed away on Tuesday 8th January. Dylan changed colour over the years! Dylan, who celebrated his 17th birthday in September 2018, was an incredibly special resident at the Sanctuary and was very popular with our visitors, having lived at our Oxhill Visitor Centre since it opened. Everyone at Redwings is truly devastated at his loss and we know he’ll be missed by all. A memorial fund has been set up in Dylan’s name. For more information and to make a donation, call 01508 481000 or click here. RIP Dylan, we will never forget you.